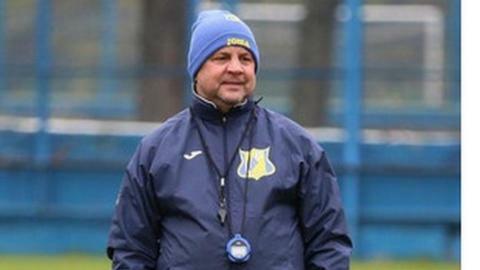 FC Rostov head coach Igor Gamula has been suspended for five matches after being found guilty of making racist comments, the Russian Football Union (RFS) said in a statement on Wednesday. Gamula was punished for apparently telling Russian media the club had "enough dark-skinned players, we've got six of the things". The 54-year-old has apologised to each of the players in question. However, he has insisted the remarks were intended to be "a joke". He said: "I have a great relationship with all the team's dark skinned players. The British press just doesn't understand our Russian humour." However, South Africa's Minister for Sport, Fikile Mbalula, and South African Football Association president Danny Jordaan asked soccer's world governing body Fifa to look into Gamula's comments. "Any country that is going to host the World Cup should be hospitable to any race or nation, without discrimination because of the colour of a person's skin and in particular Russia," Jordaan said referring to the 2018 finals. "Therefore I believe that he (Gamula) deserves the harshest possible punishment. This is not the first time that such things have been said in Russia." Dynamo Moscow's Congo defender Christopher Samba and Zenit St. Petersburg's Brazil striker Hulk were both victims of racist abuse by opposition fans during matches in September. "Of course, you need to watch what you say, especially when we are trying to battle against racism," RFS vice president Nikita Simonyan said after Wednesday's disciplinary committee meeting. Gamula said the RFS had told him not to comment on his ban.